Brian Earl Taylor, 21, sang his apology to the tune of Adele's "Hello." A 21-year-old convicted felon sang an Adele-inspired apology to the judge overseeing his case at his sentencing hearing. On March 10, Brian Earl Taylor appeared at Washtenaw County Trial Court in Ann Arbor, Michigan, to be sentenced for unlawful imprisonment and carrying a concealed weapon, court records indicate. When he addressed the court, he sang his soulful apology to the tune of Adele's smash hit "Hello," complete with lyrics he'd written himself. "I'm gonna start with a song," Taylor, a Belleville, Michigan, resident, said when he addressed the court. Taylor then began his one-minute song with a greeting to the judge. "Hello, your honor," Taylor sang. As the song went on, he apologized to the victim, his mother and Judge Darlene O'Brien. "I want to say I’m sorry for the things I’ve done, and I try to be stronger in this life I’ve chosen," Taylor sang. "But I want you to know, that door I closed, your honor. "I’m sorry, sorry, sorry," Taylor continued. Prior to the hearing, one of Taylor's lawyers asked O'Brien to give Taylor permission to sing the song, the judge told ABC News. O'Brien looked at the lyrics and found them to be remorseful, she said. So, she allowed Taylor to proceed. O'Brien said she found the song's melody to be familiar. "I love Adele's music," she said. One of the lawyers representing Taylor said he expressed the night before the hearing that he'd like to sing, but only if the judge was okay with it. "That was all his idea," said Washtenaw County Assistant Public Defender Stephen Adams. "It was the way he could most comfortably tell her how he felt." The judge told Taylor that he obviously has talent and that she hopes he finds an appropriate way to use it, Adams told ABC News. (Washtenaw County Sheriff's Office) On Nov. 9, Brian Earl Taylor, 21, was arrested for kidnapping a victim with plans to rob him. Police intervened when he saw the two in a struggle. Police arrested Taylor after he was found struggling with a man in an apartment building in Ypsilanti, Michigan, while holding a gun to the man's abdomen on Nov. 9, according to a press release. Police said they believe that Taylor planned to rob the man. 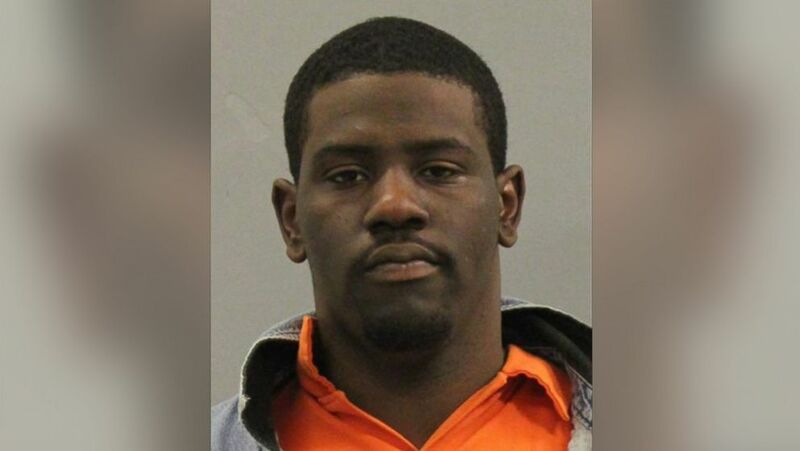 Taylor was sentenced to two years in a state prison for illegally carrying a concealed weapon and 18 months to 15 years for the unlawful imprisonment charge, court records show. Five other charges against him in the case were dismissed. Taylor pleaded guilty as part of a plea deal, Adams told ABC News. "I’ve been here 23 years, and I’ve never seen a defendant sing at their sentencing hearing," said Ypsilanti Police Department Lt. Deric Gress, who oversees the detective department that handled Taylor's case. Taylor is scheduled for a final pretrial conference on March 24 in a separate case in which he's accused of stealing or retaining a financial transaction device without consent. It's not clear whether he's entered a plea in that case.